Somewhere in the STEM field; particularly in the science and/or medical field. I am also interested in becoming a community pharmacist. Cleveland STEM High School is a public school in South Seattle with around 1000 students. The school is split up into two academies: the SOED academy which focuses on engineering and the SOLS academy which focuses on life sciences. Cleveland focuses on project based learning and preparing their students for the STEM field. It offers all AP classes related to STEM and there are also many clubs that revolve around STEM like Green Team, Robotics Club, and HOSA (Health Occupations Students of America). I became interested in Project Feed 1010 because it has a lot of potential to help others by combatting the global food crisis. Even in Seattle, one of fastest growing cities in the world, there are underserved communities that suffer from the food crisis. Seattle is also home to food deserts and a homeless crisis which mainly affects marginalized groups. As a youth living in Seattle I became interested in this because PF1010 can be applicable to my own communities and other local communities. I also want to learn about what I can do to and how to solve these global issues. I want to bring this to may school because there needs to be a change in what we’re doing and by starting at the high school/middle school level this allows the youth, or future citizens, to help pave way for their future and generations to come. 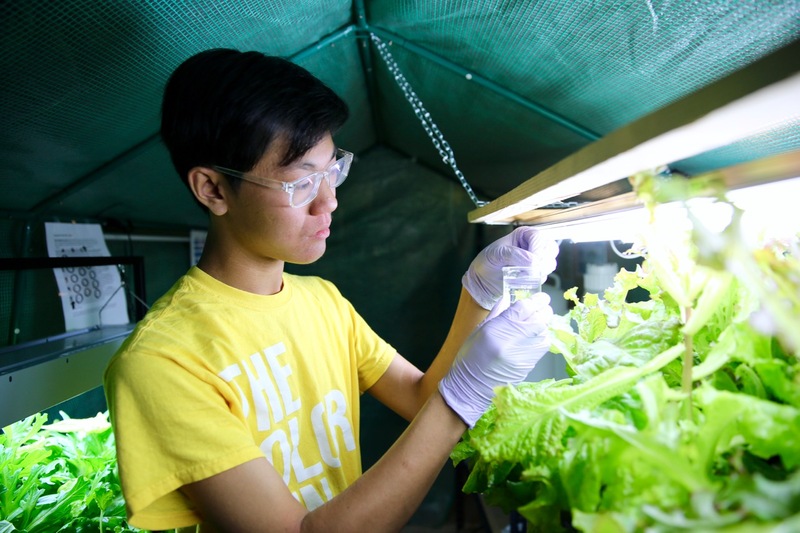 This project would give students into insight about how food is grown and may invite(?) students about where their food comes from and the labor that goes into it. Also, this project would allow students to learn about the food crisis in a more interactive way. At Cleveland we have many student-led clubs. However, the clubs I feel like would most be interested in this would be Green Team, Robotics club, and HOSA. We also have AP science classes and an engineering class that could integrate this project. The PF1010 ambassador for Cleveland will first contact the AP science teachers and negotiate(?) with them about using the school’s greenhouse and integrating PF1010 into the curriculum. If we get approved we would partner with on of the school’s club and the students would be able to monitor and maintain the systems after building the aquaponic systems.